Epson has announced a new home cinema projector, the Epson LS100 Short Throw Laser Projector. The new Epson LS100 Short Throw Laser Projector is capable of projecting a display of up to 10 feet diagonal. The Epson LS100 Short Throw Laser Projector can produce Full HD video in 1080p and it will cost less than $3,000 when it launches. 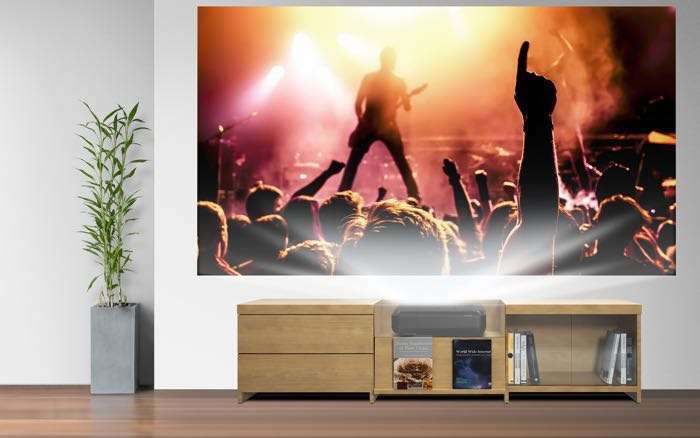 You can find out more details about the new Epson LS100 Short Throw Laser Projector over at the company’s website at the link below, it will retail for $2,999.